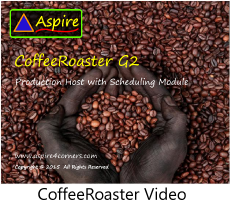 The CoffeeRoaster Customer Module is an important part of the CoffeeRoaster production scheme. 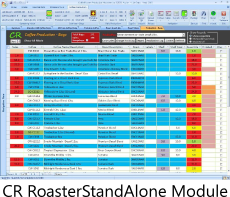 Each CoffeeRoaster customer uses QuickBooks differently and sets up their own scheme for Coffee Items within QuickBooks. CoffeeRoaster deploys a technology called 'CoffeeSense' that helps to identify Coffees for production as they are imported from QuickBooks. 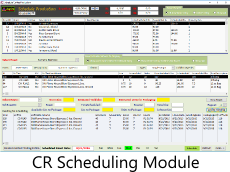 The concept is that we want to set up the Items for Coffees and Non Coffees within QuickBooks so that they are distinctly different. 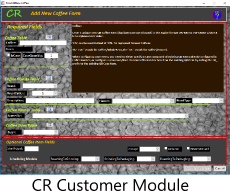 Once we have defined a specific way to define Coffees which is different from all other items within QuickBooks CoffeeRoaster can then be 'programmed' to recognize and separate Coffee Line Items when they are imported from QuickBooks. 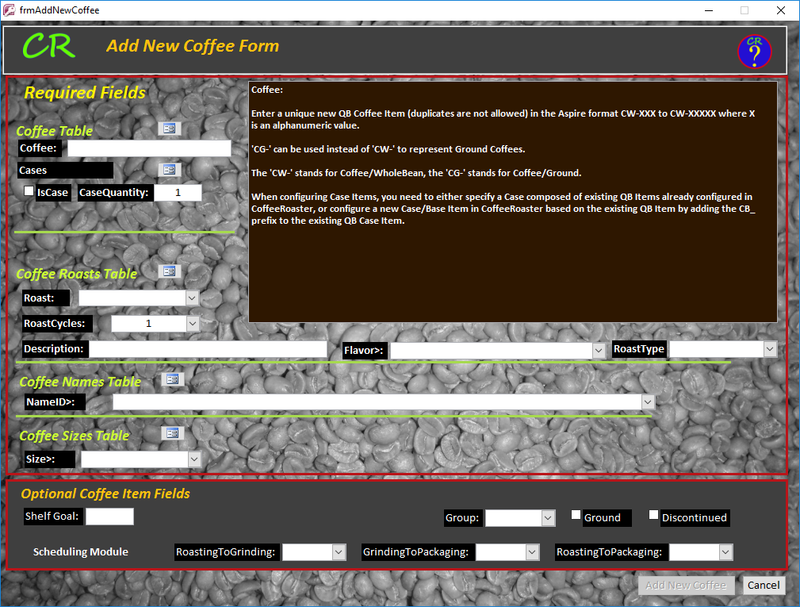 With 'CoffeeSense' technology, Coffee line items imported from QuickBooks can be directed to the Production - Bags form while Non Coffees are separated into a separate table and form. 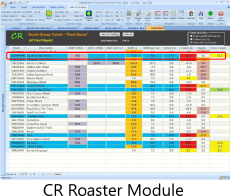 1) Each Coffee item within QuickBooks and CoffeeRoaster begins with a CG- or CW-, the CG specifying Ground Coffees and the CW specifying Whole Bean. 2) Following the CG- or CW- there are 3-5 additional characters (alphanumeric) which identify the specific coffee, whether it is Decaf or Regular, etc. 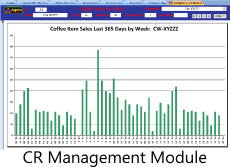 3) All non Coffee Items in QuickBooks must not begin with CG- or CW-.